Old house, cozy and charming with ample garden space for yoga, relaxing in the hammock, picking flowers or taking a swimming pool. 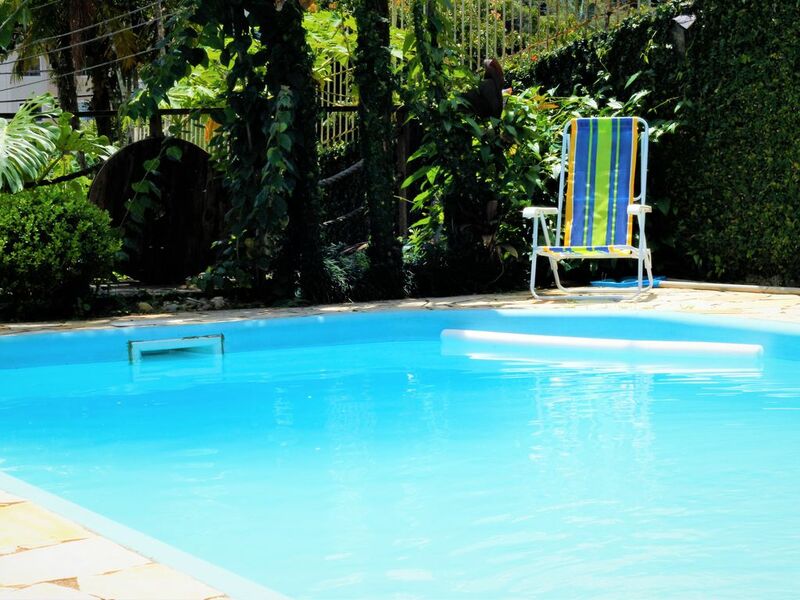 Located 2km from the historical center of Blumenau (1.9km to Museu da Cerveja, 1.8km to Museu da Familia Colonial & Cemitério de Gatos), surrounded by green mountains, you will sleep with the tranquility of a residential street and wake up with the birds. There is a kitten that lives in the house or by the garden, she is extremely docile and loves a call. There are 4 bedrooms on the second floor (master double suite, 2 bedrooms with double bed and AC, 1 bedroom with 2 single beds and AC) and 2 bedrooms on the 1st floor (1 double and 1 larger which can sleep up to 6 people bunk beds). If fewer people in your group contact us to see the values.